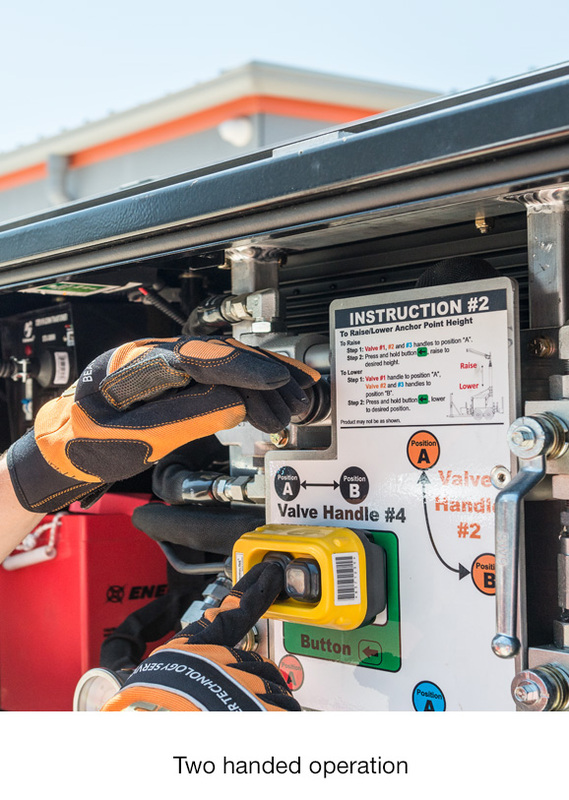 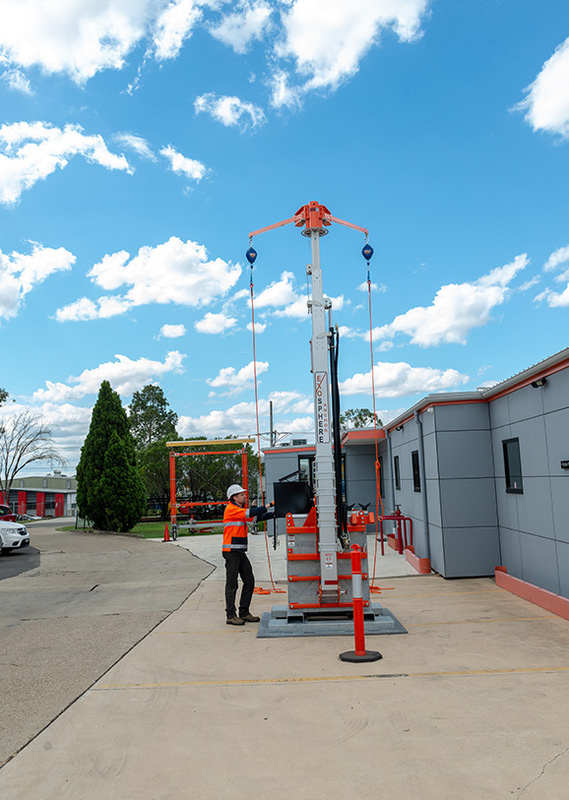 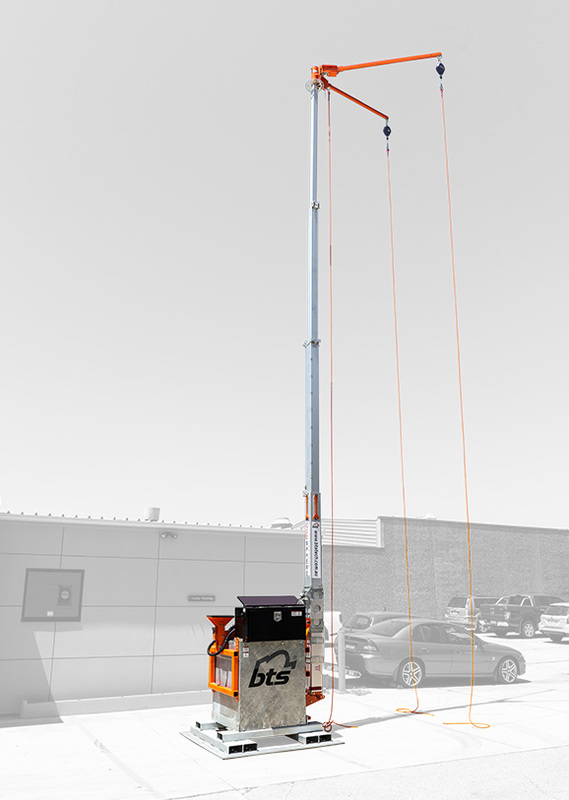 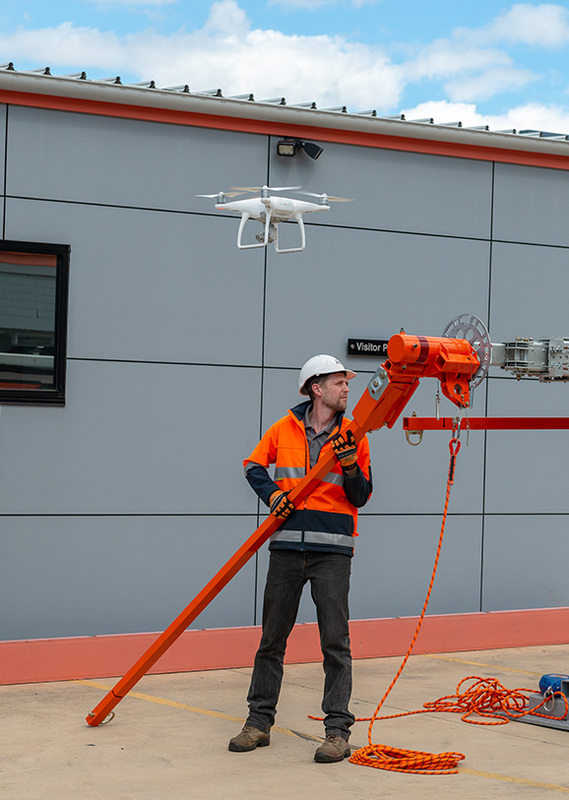 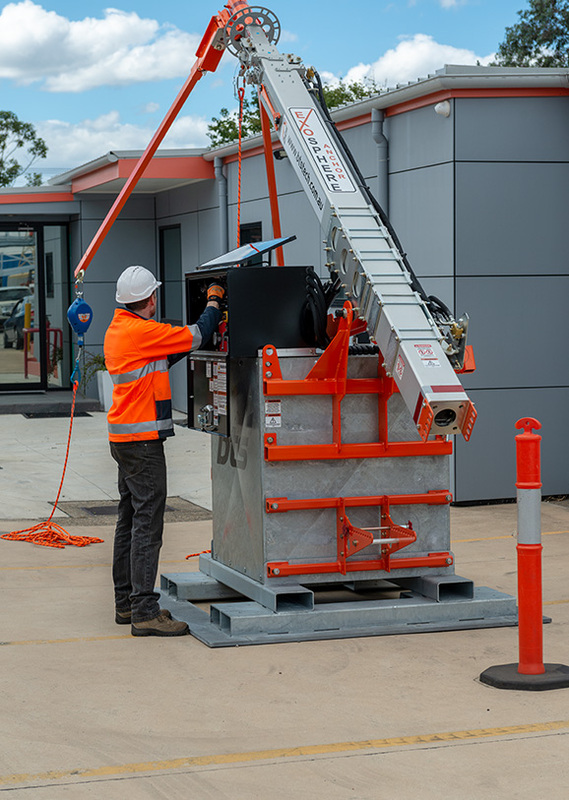 The BTS Exosphere Restricted Space Cube (ERSC) provides a person working at heights an overhead anchor point that is modular and can be moved easily around a site via a forklift. 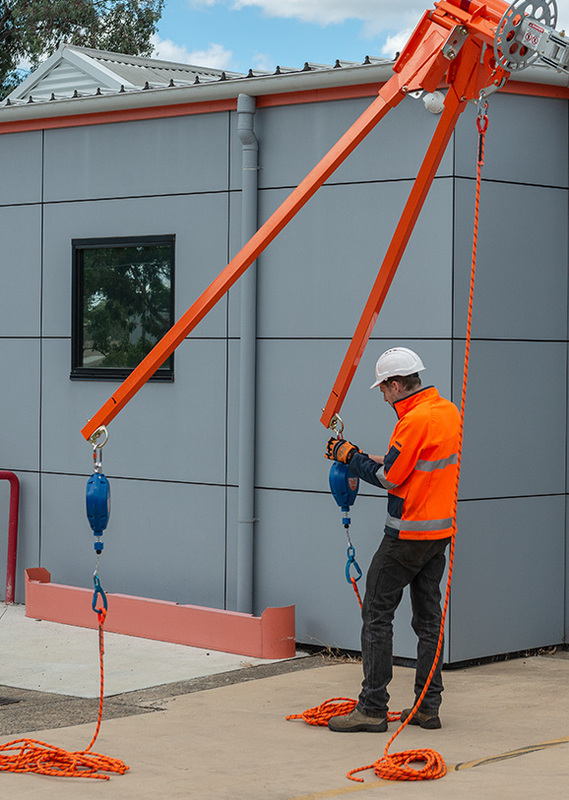 The ERSC is an ideal product solution for sites where an overhead structure or existing anchor point may not be suitable. 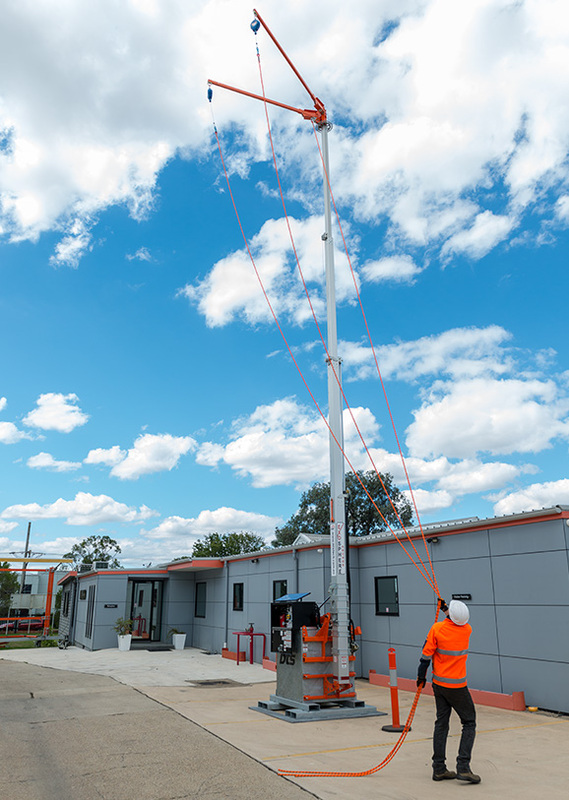 Available with an adjustable height of 12m and a reach of 2.3m, the ERSC is a suitable fall protection device for a wide range of applications including working on a large variety of earth moving plant machinery, highway and off highway trucks, shipping containers and portable buildings and other plant equipment that may require access and involve working at heights. 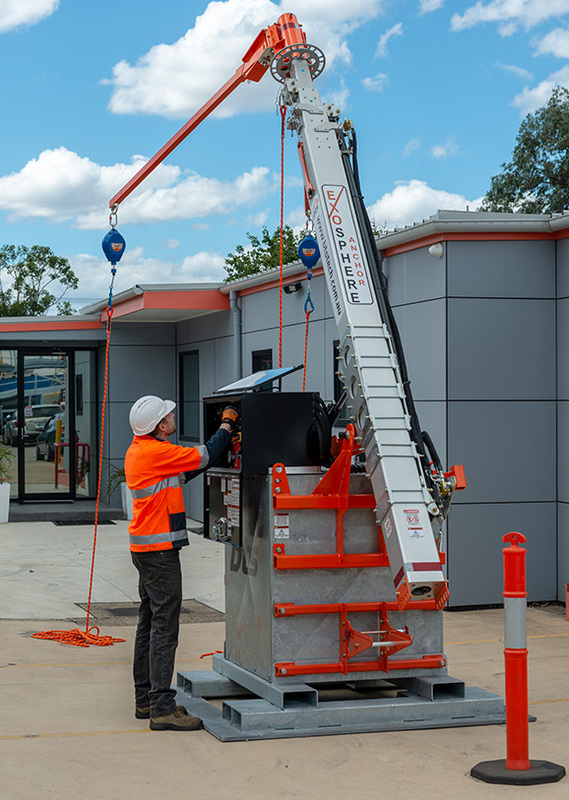 The ERSC can also be adapted as part of a truck loading and unloading process in warehouse and distribution facilities. 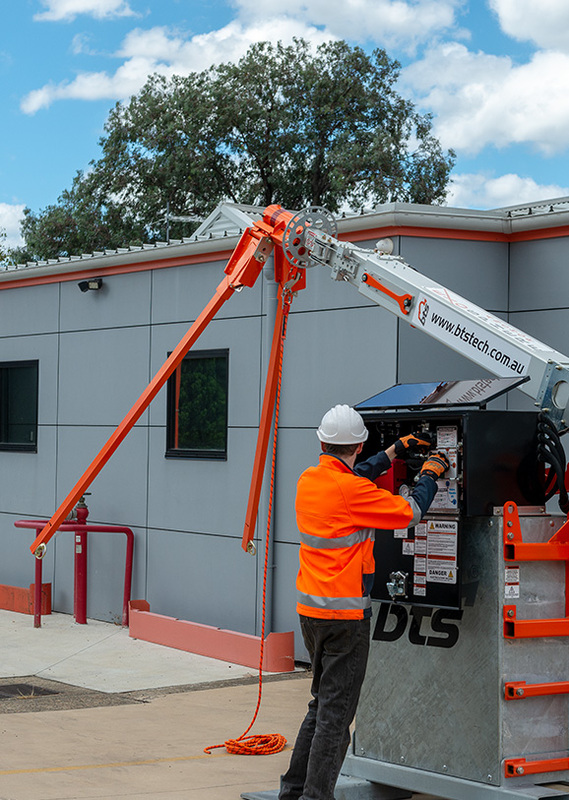 The ERSC is designed with a minimal footprint allowing it to be positioned close to the equipment being accessed all while providing maximum fall protection for the worker. 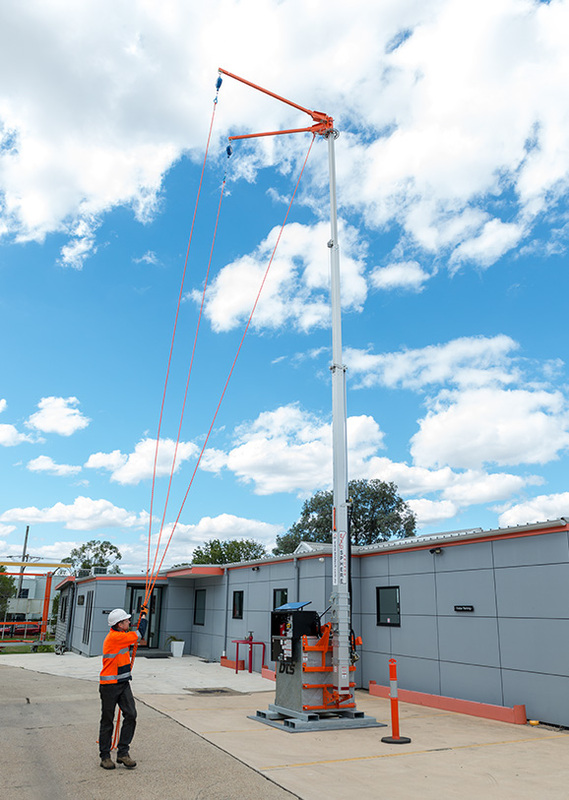 The ERSC can be set-up for use by one (1) person in less than ten (10) minutes. 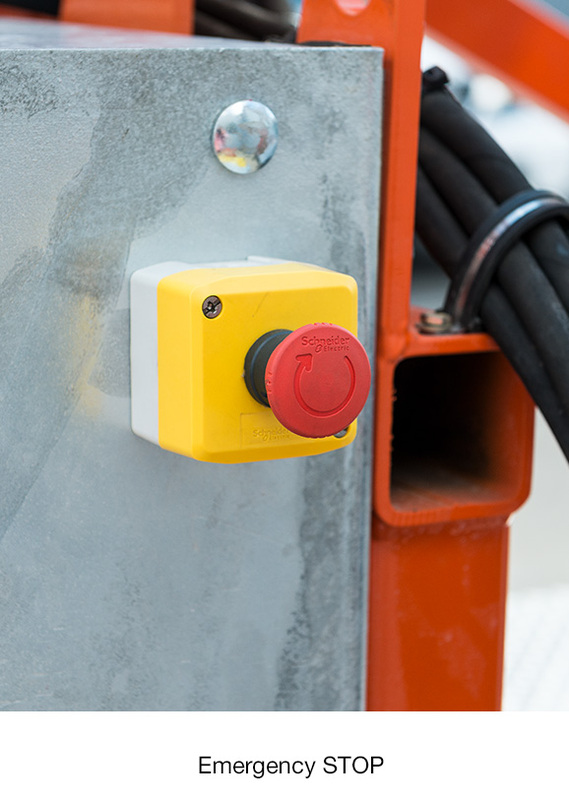 Complies to AS/NZS 5532:2013 (Australian & New Zealand standard). 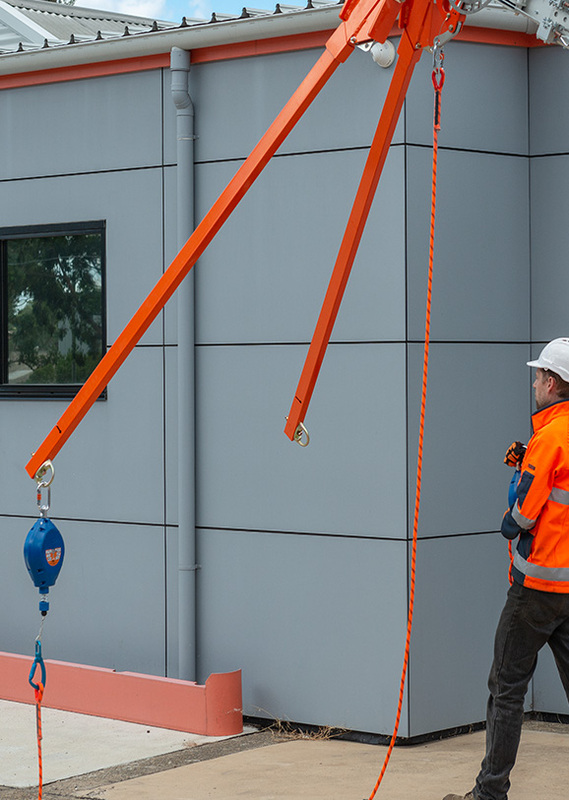 Maximum working overhead anchor point height of 12.0m and with two (2) 2.3m offset masts rated for one (1) worker each. 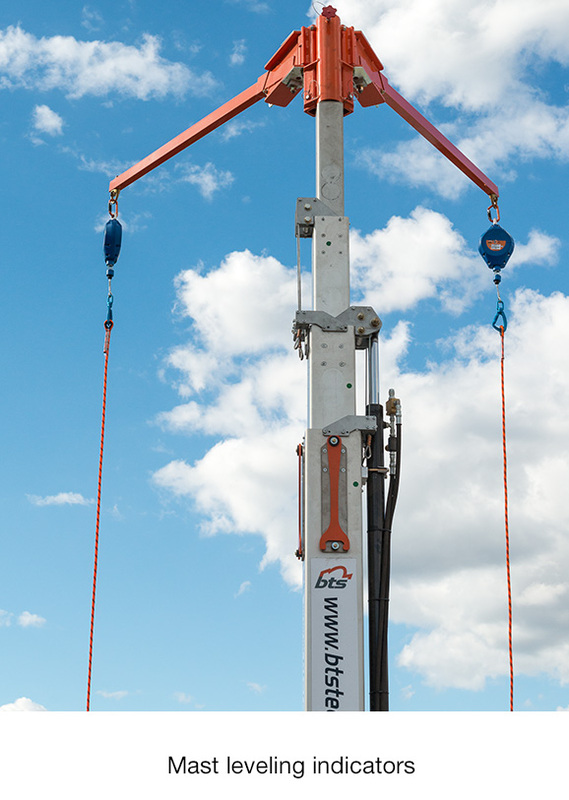 Set-up and anchor height adjusting is carried out with easy to follow controls. 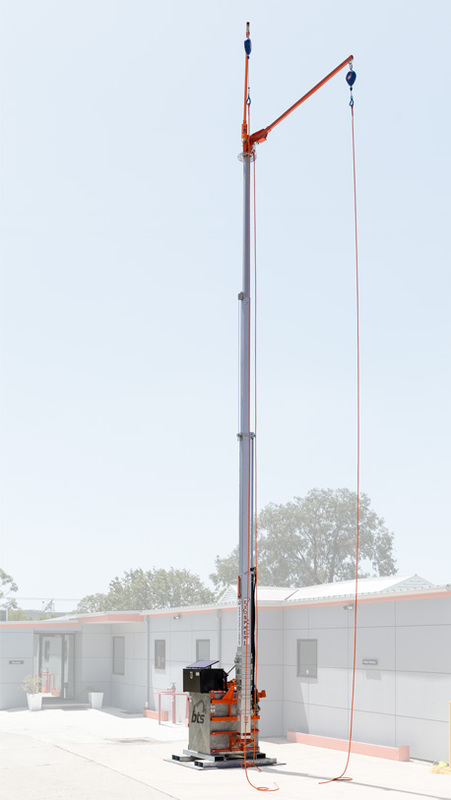 Unprecedented 4 stage telescopic mast, adjustable to 12.0m anchor point height. 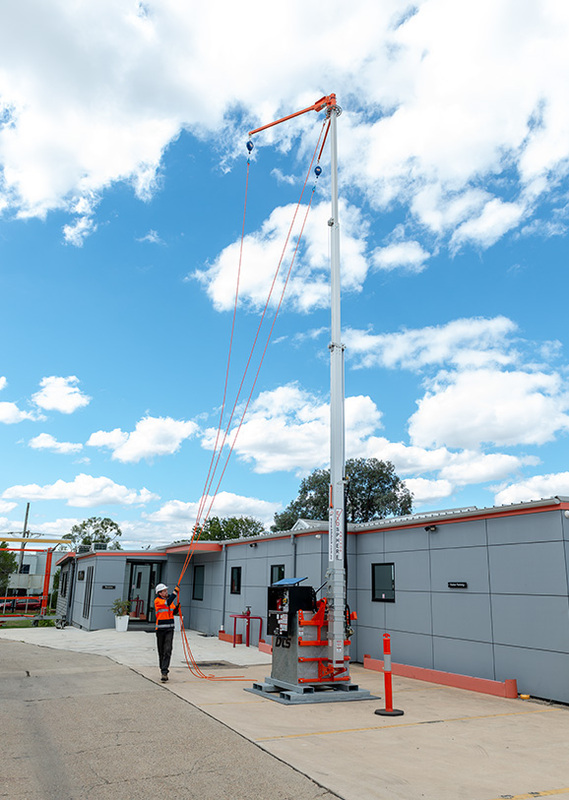 When not in use, the EXOSPHERE mast retracts down effortlessly onto the cube base and is securely held in place. 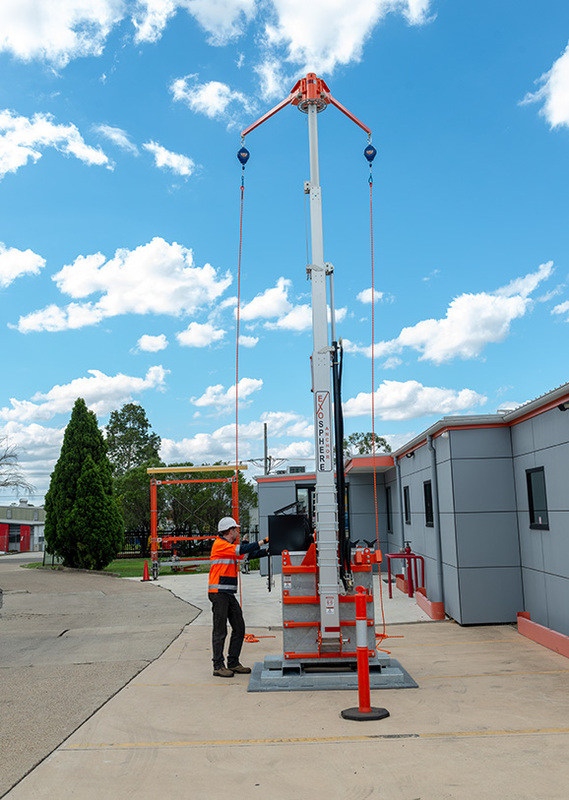 The EXOSPHERE Cube takes around 10 minutes to set-up for use and a similar amount of time to lower the unit after use. 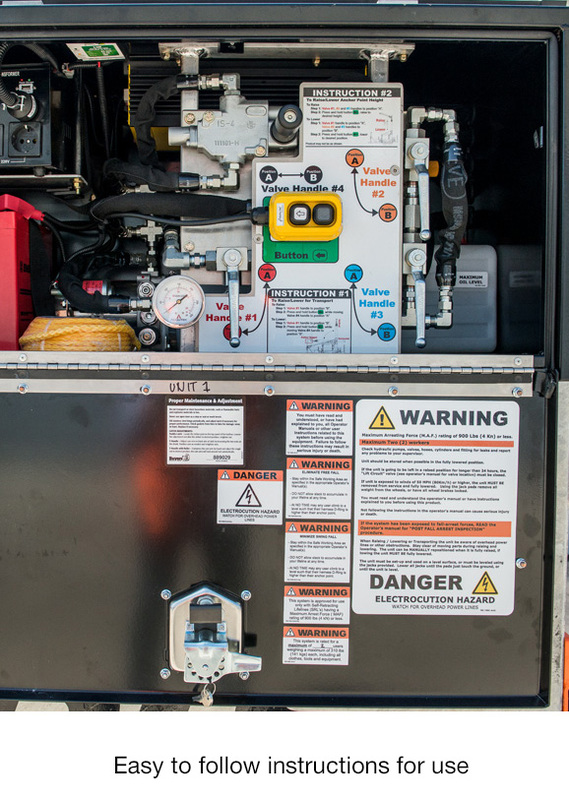 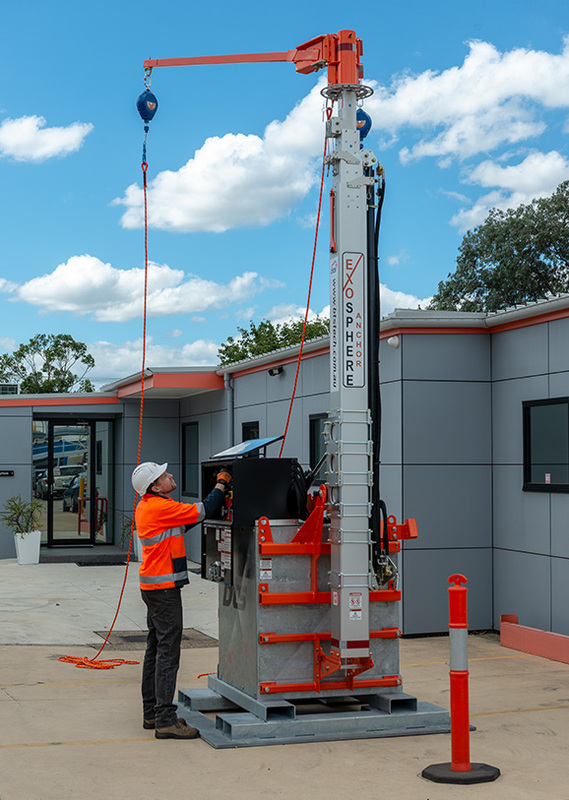 The EXOSPHERE Cube main mast is raised and lowered using an electric (DC) hydraulic pump and valve assembly with built-in hose burst protection reducing any manual handling issues on-site. 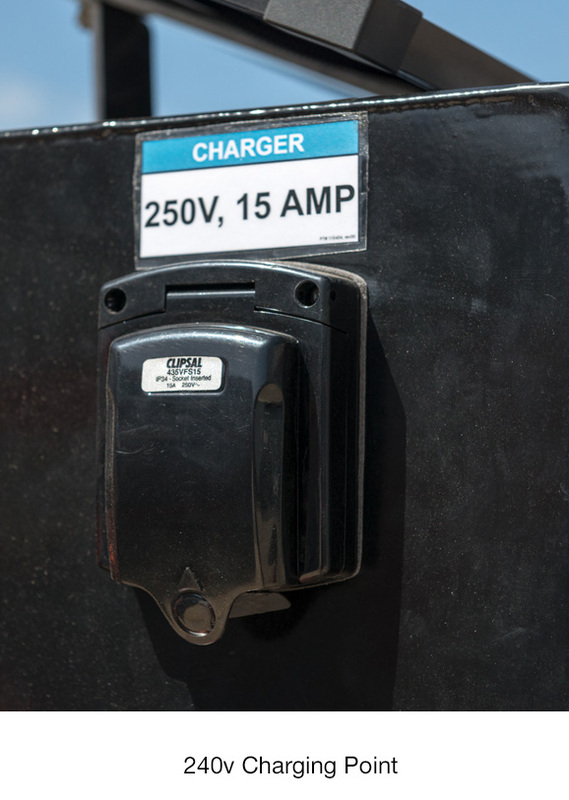 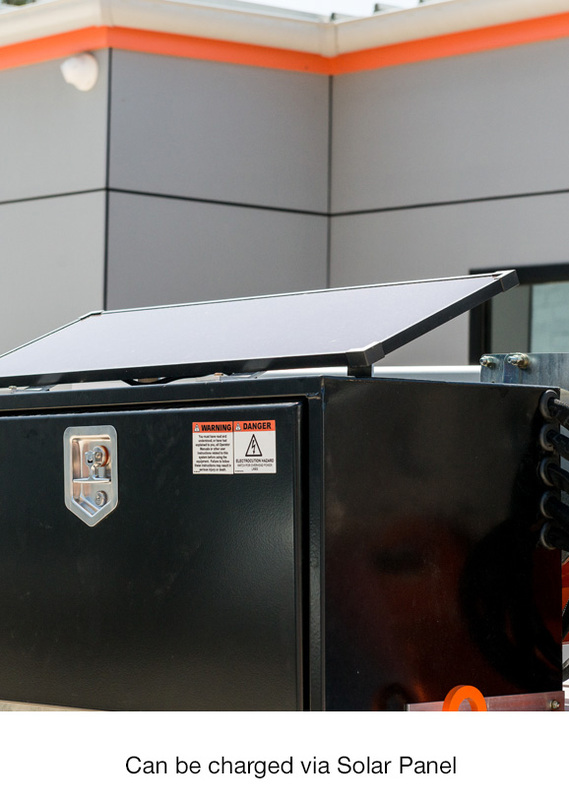 High performance deep cycle battery with built in solar charging and 240v battery charger. 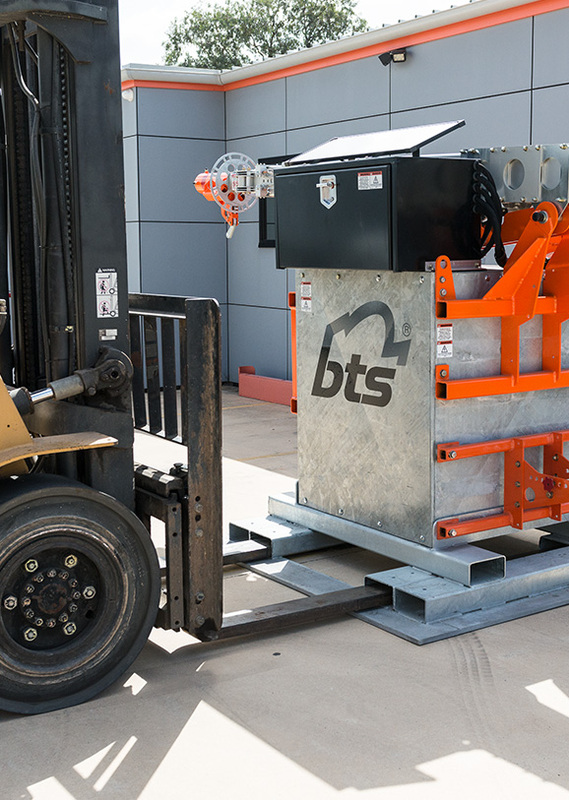 Multiple lifting points for ease of lifting and storing when shipping equipment around the countryside. 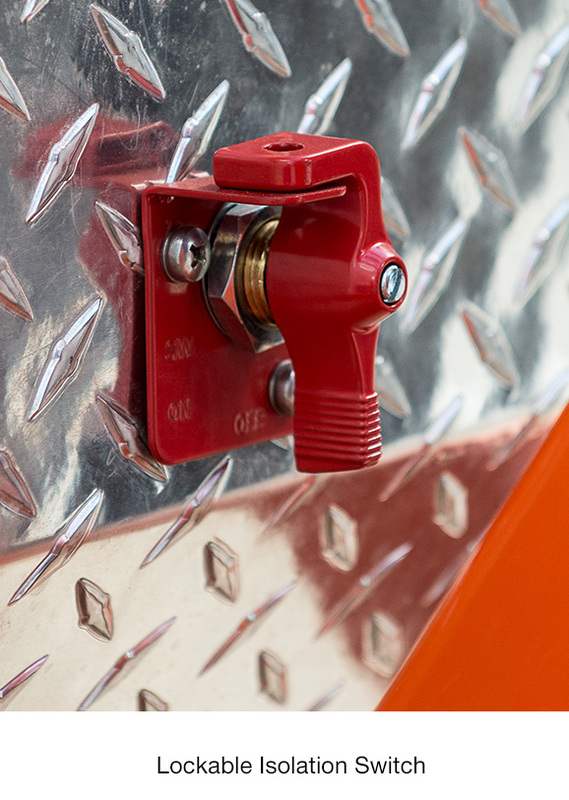 Accessories: Inertia Reels and Inertia Reels with Self Rescue Capability. 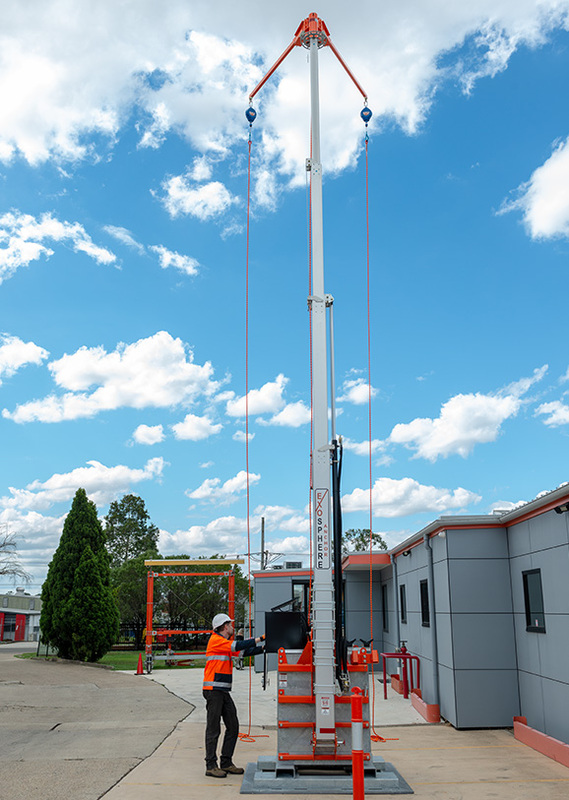 Footprint of only 1790mm x 1800mm perfect for work areas with restricted floor space. 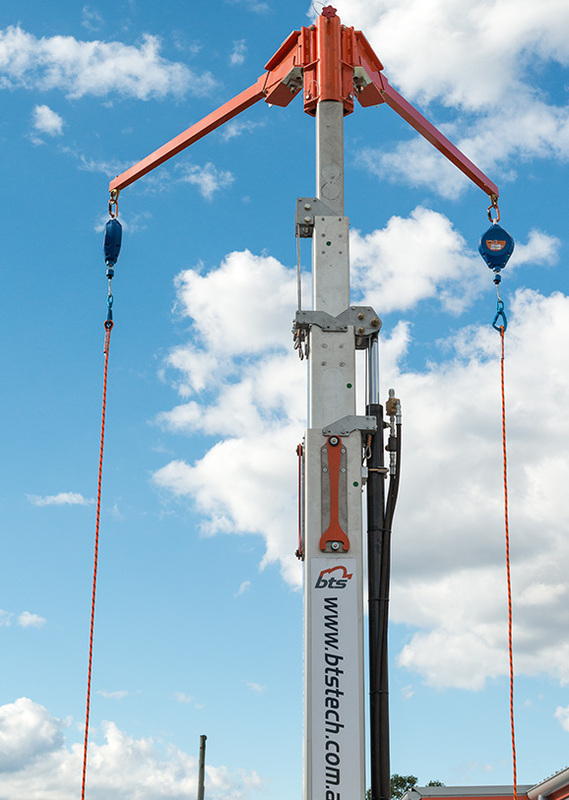 Height: Adjustable to 12m Max.